2015: 5 students from Purdue attended. Several other students from ISU, with support from ISU. Photo above, Left to Right: Meghan Hoskins. 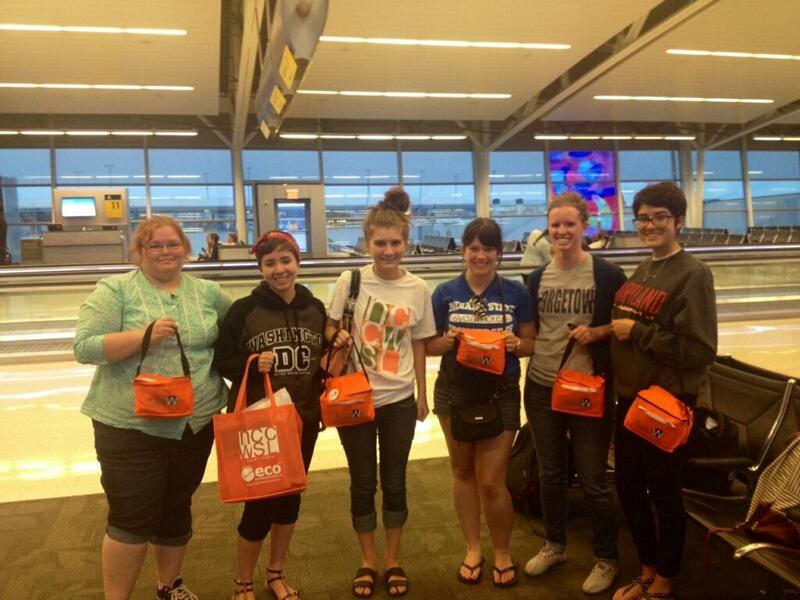 Kira Clouse, Averi Hill, Lindsay Farmer, Hanna Brant, Kaylee Jo Fox carrying State Board orange totes packed with convention goodies. 2016: students from Indiana attended. 2017: 15 students attended from Purdue, Ball State, Franklin College, and Valparaiso. In addition the State C/U Rep attended! That's Patricia on the right and the State Board scholarship recipient, Reyan Coskun, on the left. Ms. Coskun is a student at IU Bloomington majoring in Anthropology and Biology with a double minor in French and Animal Behavior. State Board offers $500 scholarship; covers Early Bird Registration plus a little left over for travel expenses. Open link to scholarship form. Submission info is included. The 2012 National Conference for College Women Student Leaders (NCCWSL) was a huge success! Students enjoyed inspiring presentations by six outstanding honorees at the Women of Distinction Awards ceremony, attended skill-building workshops, heard from motivating speakers, and participated in enjoyable and educational pre-conference activities. Because of your invaluable support, nearly 600 women student leaders from 43 states; Washington, D.C.; Jamaica; Bermuda; and Guam attended the conference. This was the largest attendance in the event’s 27-year history! Eighty-seven percent of attendees who completed our 2012 survey said that they are more likely to take a leadership role on campus as a result of NCCWSL. Ninety-six percent said that they would be successful at leading others as a result of NCCWSL. 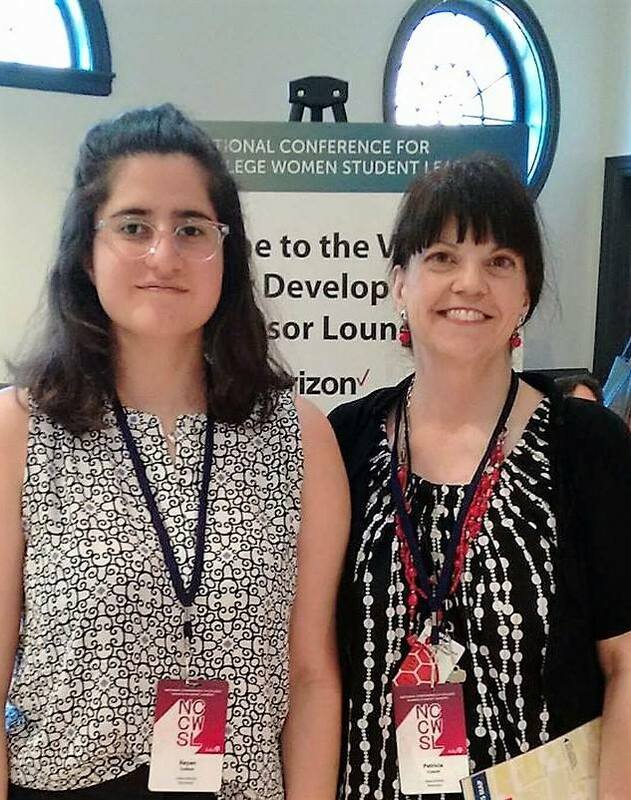 Again this year AAUW members provided outstanding support through the NCCWSL Scholarship Fund and General Fund, and many members supported students from their own communities. In fact, more than 140 AAUW states, branches, and individual members sponsored students to attend or contributed to the Scholarship Fund or General Fund. We are confident that, with your help, we will be able to help even more students attend next year and provide yet another outstanding event for them to enjoy. Your support is deeply appreciated. We’ve received great feedback about the conference from students and administrators alike, and we thank you for the dedication and hard work you put forth to continue NCCWSL’s success. We ask that you now reach out to these students to learn about their experiences, share your own stories, strengthen your AAUW community, and help shape our future. We at the national office are also following up with all these attendees. Don’t be surprised if you hear from a student in your community who would like to get involved with your AAUW branch. The list of students who attended NCCWSL from 2006 to 2012 who shared their contact information can be requested by e-mailing nccwsl@aauw.org. We are delighted to be able to provide this list to you to facilitate a stronger connection among states, branches, and NCCWSL alumnae. Please reach out to these students and make that connection! Make sure to review the 2012 NCCWSL Highlights and NCCWSL: Make a Connection to find out about the many ways you can help build college women’s leadership, AAUW membership, and college/university recruitment. You can view even more highlights, video clips, photos, and testimonials on our website at www.nccwsl.org. If you have any questions, please e-mail us at nccwsl@aauw.org or call 800/326-2289, Monday through Friday, 10 a.m.–5 p.m. EDT.